James Alex Fields is facing charges in the death of Heather Heyer. The man who faces charges for ramming his car into a crowd during the infamous white nationalist rally that rocked Charlottesville in 2017 may claim that he did so in self-defense. The Associated Press reported that Fields' attorney gave a possible glimpse at his defense strategy during jury selection, asking jurors if they believed using violence in self-defense is ever appropriate. Attorney John Hill told the jury pool that evidence will show James Alex Fields "thought he was acting in self-defense." The revelation came as lawyers in Virginia are working to pick the jury that will hear the case against Fields, who faces a first-degree murder charge for killing counter-protester Heather Heyer in the incident. He also faces eight other charges relating to injuries and one relating to fleeing the scene of an accident. 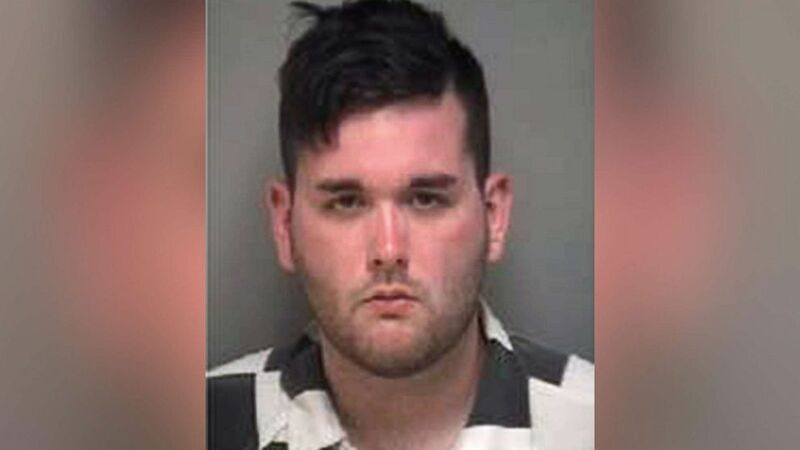 The 10 charges he is facing in this upcoming trial in the Charlottesville City Circuit Court are separate from the 30 federal charges he faces that relate to hate crimes. One of those federal charges is eligible for the death penalty. Fields, 21, entered a not guilty plea to the federal charges in August. Attempts by ABC News to reach Fields' attorney were not immediately successful. The Charlottesville City Circuit Court has blocked off until Wednesday to complete jury selection and the trial can begin as soon as the jury is picked, according to Brian Wheeler, a spokesperson for the City of Charlottesville. Local newspaper The Daily Progress reports that there are 360 people in the pool of potential jurors -- which it describes as the largest in recent memory. When the charges were announced, then-Attorney General Jeff Sessions said that the federal indictments "should send a clear message to every would-be criminal in America that we aggressively prosecute violent crimes of hate that threaten the core principles of our nation." 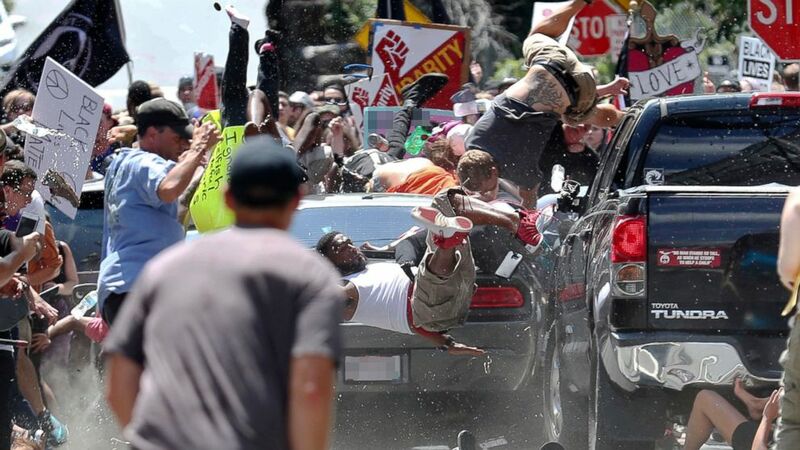 Fields then rapidly accelerated, ran through a stop sign and across a raised pedestrian mall, and drove directly into the crowd, striking numerous individuals, killing Heather Heyer, and injuring many others. Field's vehicle stopped only when it struck another vehicle ... He then rapidly reversed his vehicle and fled the scene. In the case description by the U.S. Attorney's office of the Western District of Virginia, Fields is described as having social media accounts in which he "expressed and promoted his belief that white people are superior to other races and peoples; expressed support of the social and racial policies of Adolf Hitler and Nazi-era Germany, including the Holocaust, and espoused violence against African Americans, Jewish people and members of other racial, ethnic and Religious groups he perceived to be non-white." According to the federal indictment unsealed in late June, Fields drove from his home in Ohio to attend the "Unite the Right" rally at Emancipation Park in Charlottesville, which featured white supremacist leaders, and that he joined in "chants promoting or expressing white supremacist and other anti-Semitic and racist views." (Ryan M. Kelly/The Daily Progress via AP) People fly into the air as a vehicle drives into a group of protesters demonstrating against a white nationalist rally in Charlottesville, Va., Aug. 12, 2017. The nationalists were holding the rally to protest plans by the city of Charlottesville to remove a statue of Confederate Gen. Robert E. Lee. There were several hundred protesters marching in a long line when the car drove into a group of them. After local authorities declared the rally an "unlawful assembly" and dispersed participants, Fields, according to the indictment, returned to his car and drove to where the counter-demonstration was occurring on Fourth Street in downtown Charlottesville. Protesters were chanting and carrying signs promoting equality and denouncing racial and other forms of discrimination. With no vehicle behind him, Fields slowly reversed his vehicle to the top of a hill, according to the indictment. "Fields then rapidly accelerated, ran through a stop sign and across a raised pedestrian mall, and drove directly into the crowd, striking numerous individuals, killing Heather Heyer, and injuring many others," the indictment alleges. "Field's vehicle stopped only when it struck another vehicle ... He then rapidly reversed his vehicle and fled the scene."